The Badain Jaran Desert mainly occupies parts of China and Inner Mongolia covering an area of 49,000 sq. kilometers. 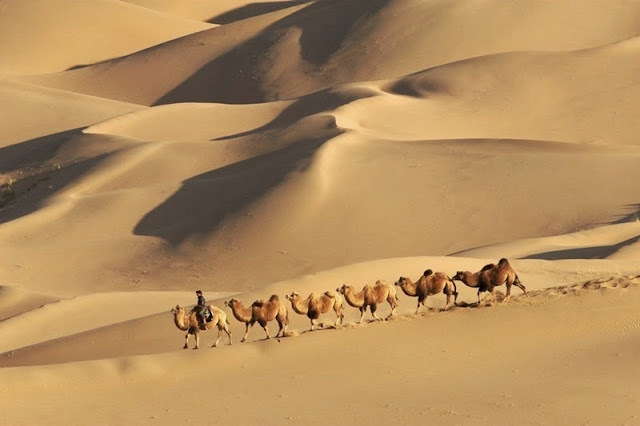 The desert is 3rd largest desert in China, even though a lot of people are not familiar with this desert, outside China. 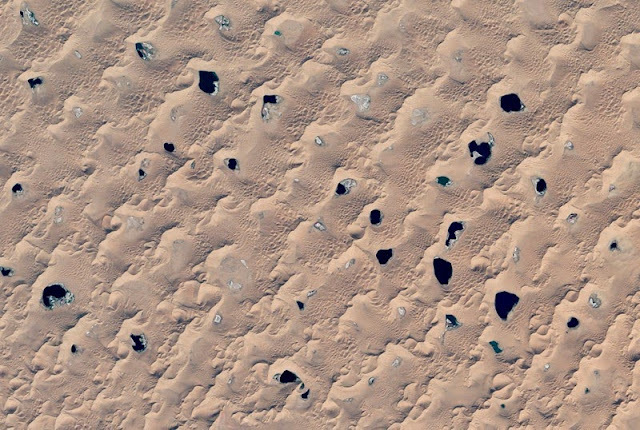 It is well recognized for having the tallest stationary dunes on earth. However, some of these dunes have been measured to reach heights of above 500 meters. 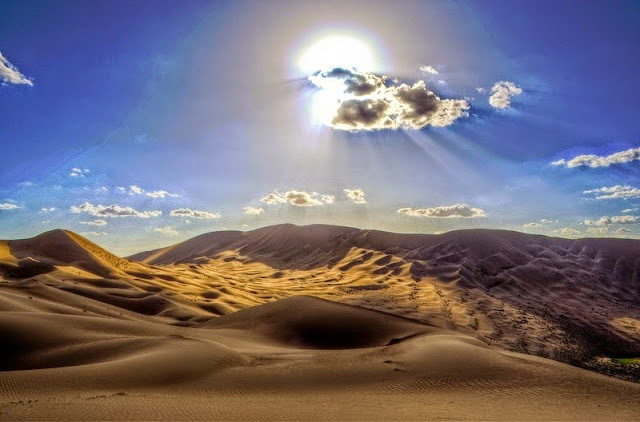 Moreover, Badain Jaran has an exceptionally arid climate with an annual precipitation between 50 to 60mm, as nearly 40 to 80 times of the precipitation gets evaporated away before it falls as rainfall. 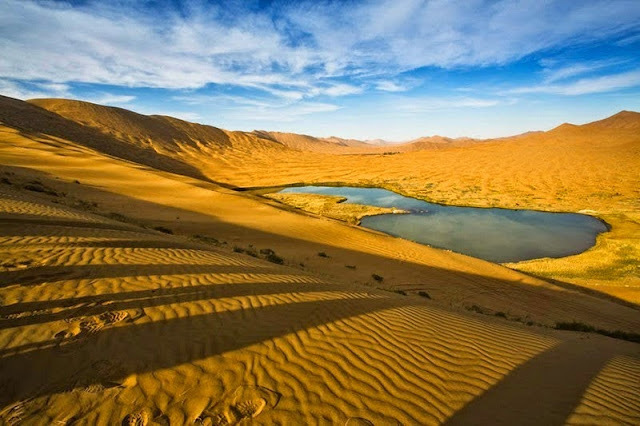 Despite these arid conditions; one of the most amazing features of Badain Jaran is the existence of approximately 140 everlasting lakes that lie between the dunes. It’s these lakes that give the desert its name which in Mongolian means "mysterious lakes". 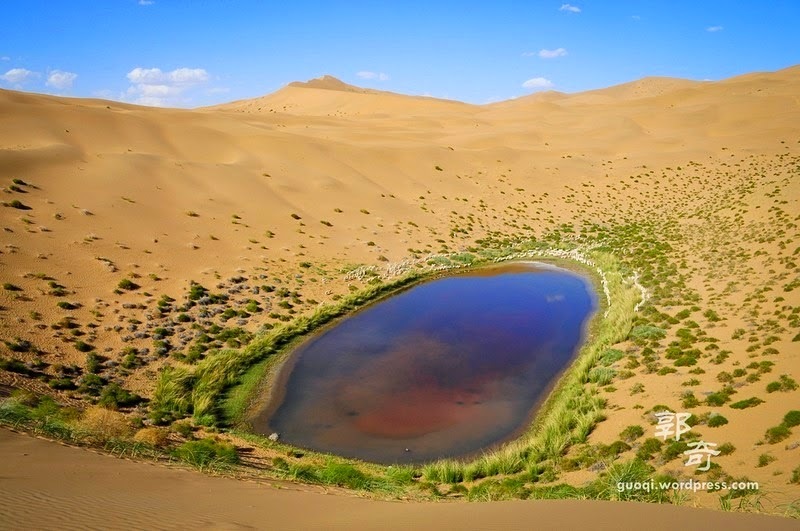 These mysterious lakes are thought to be fed by underground water springs that flow under the gravel deposits and appear between the dunes where the deposits become fine-grained and the water flow is blocked. The main source of this water is precipitation and snowmelt in the mountains nearby the desert hundreds of kilometers away. 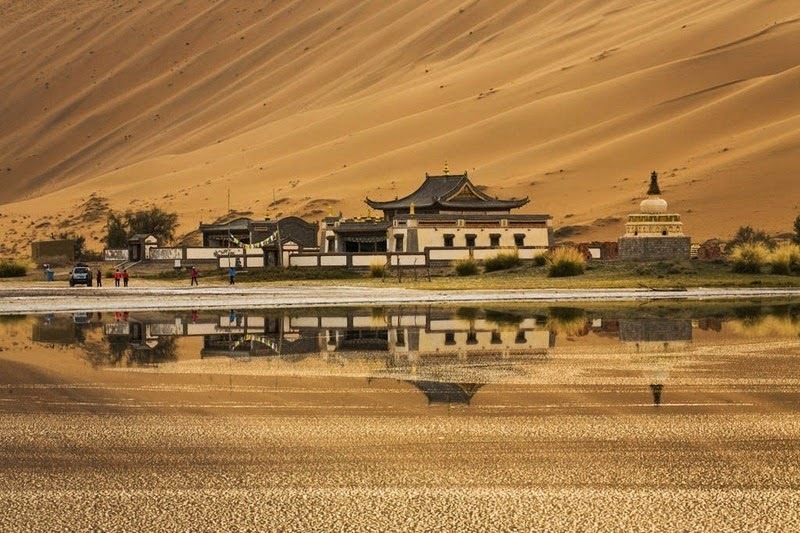 There’re numerous oases in the basins because the snow and ice cover on the surrounding mountains provides lots of water. Moreover, Runoff from these mountains flows through the fractured rocks and gravel deposits beneath the desert, and then emerges at scattered places giving rise to several lakes. Though the springs carry fresh water, and most of the lakes are saline, which can be easily explained by their high rate of evaporation. Therefore, some of the lakes changes color due to the presence of a large populations of algae, brine shrimp and minerals. 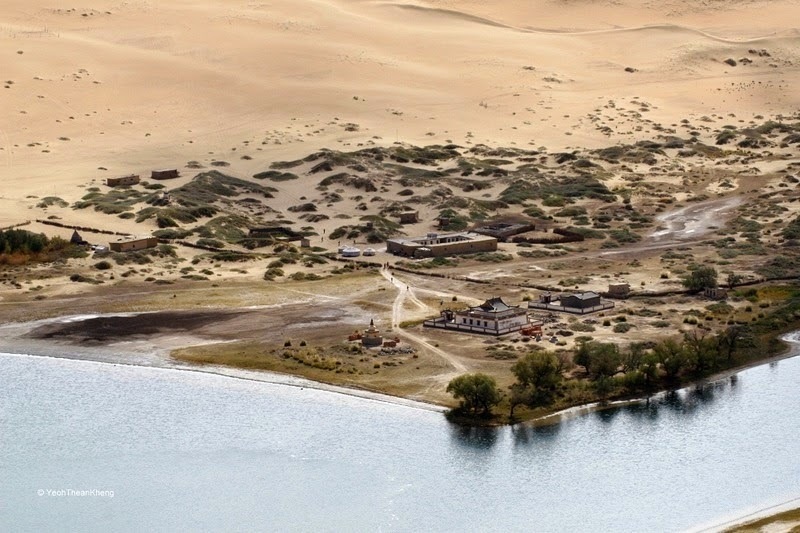 Hence, evaporation has also led some hypersaline lakes to form salt crust around the rim of the lakes. 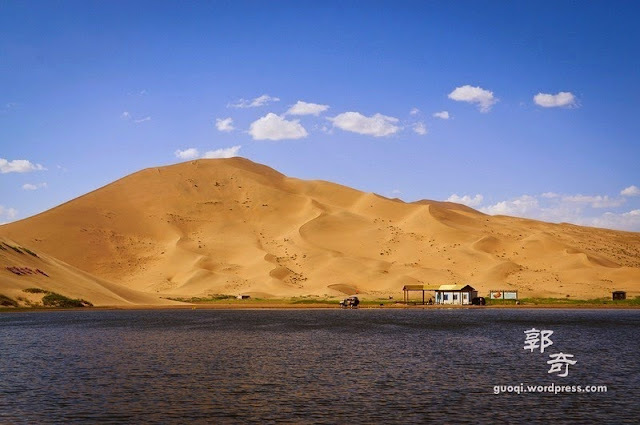 Thus, the fresh water lakes offer the life sustenance in the desert supporting animals, i.e, camels, goats and horses which are herded by nomads that travel through the desert. Many lakes also provide support a green ring of vegetation that populates the close vicinity around the lakes. In the recent decades, a number of these lakes have shrunk or even disappeared, as a consequence of reduction in groundwater brought about by urbanization, irrigation, water diversion, and an increase in population. Sub saline and fresh water lets the development of fixed dunes. 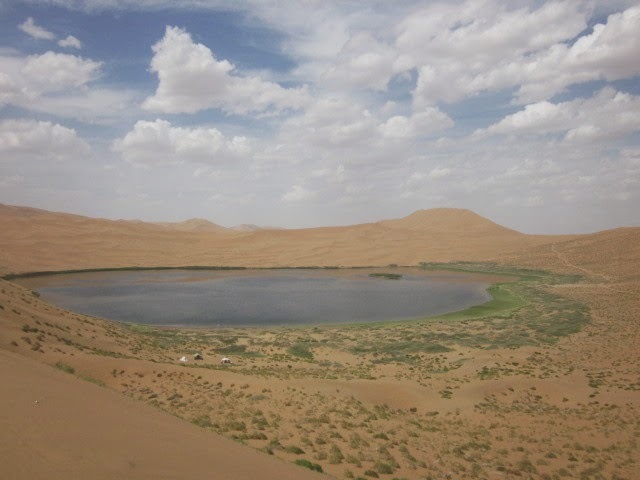 Which are replaced by semi-fixed and migrating dunes as the distance to the lake increases? 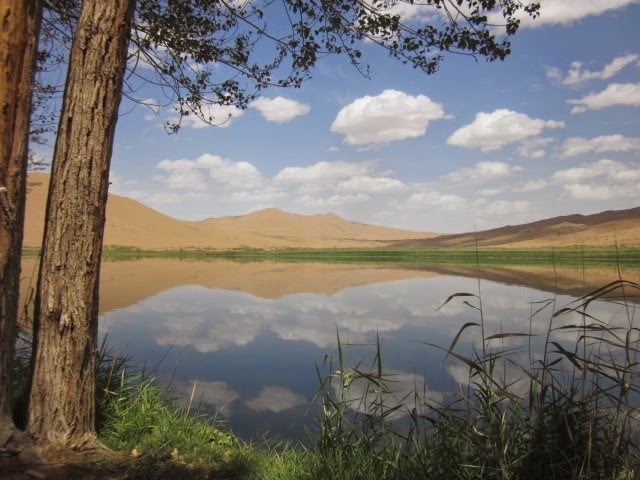 In numerous saline lakes, small travertine islands, with fresh spring water, are found. 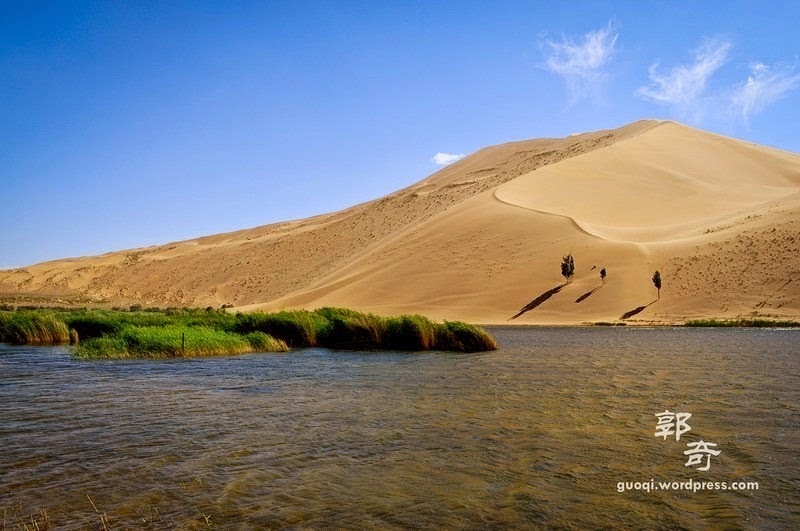 The areas of the inter-dune lakes or basins are controlled by the scale of the mega dunes. The base area of the mega dunes and those of the inter-dune basins are linearly related. Whatsoever the cause of this collection of lakes, tourists can be sure to be uncertain about whether what they witness makes sense. After all, it's not often that sand and saltwater intermingle.